There are literally dozens of species of acacia, worldwide. Their descriptions and usefulness varies greatly. 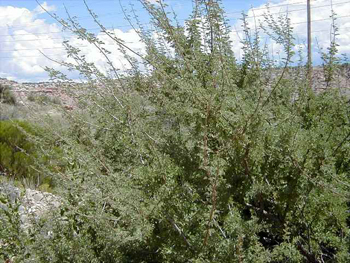 Be sure to get the advice of a knowledgeable herbalist before using acacia. 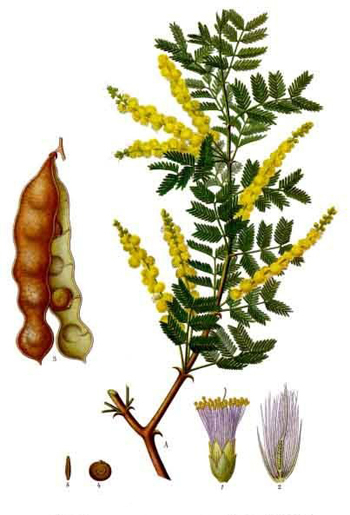 Acacia greggii: a member of the Fabaceae family; it is native to the Southwestern United States and northern Mexico. 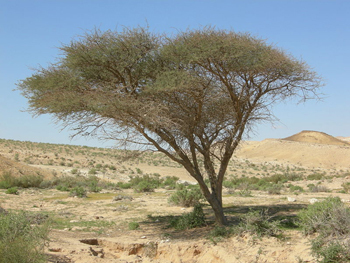 According to Near-Eastern Christian legend, a thorny species of acacia was used for Christ’s crown of thorns. 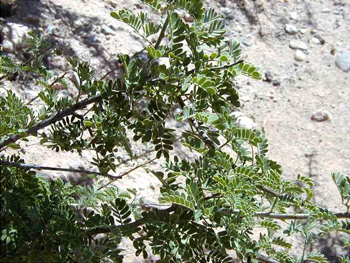 Moapa Paiute name for acacia is “Pah oh pimb.” Used for inflammation of the eyes, due to dust; vaqueros and travelers habitually carry acacia seeds and put 4 in each eye on retiring. Gum Arabic’s main effect is to form a protective, soothing coating over inflammations in the respiratory, alimentary, and urinary tracts. It is helpful for coughs, sore throat, and catarrh, eyewash, diarrhea, and dysentery. Sweetened, it is sometimes used for typhoid fever.